Design is not an outcome in itself, but rather a tool for producing results for business. Manipulating users diminishes trust over time, and puts your business at a competitive disadvantage. Just as we need to understand our content before we can recategorize it, we need to understand the system before we try to rebuild it. The skills that make a mediocre designer great. Things you can do to set yourself up for the next step. Poorly signaled modes can easily trigger user errors with disastrous consequences. Prepare for a range of dynamic communication roles and build the in-demand skills, such as UX, UI, and HCI, needed to drive user interactions. 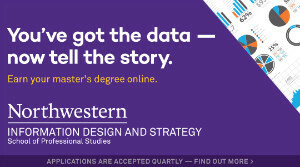 Choose from specializations in content strategy, data science and analytics, and learning design. Apply Now! Version 2.0 of articles and resources for building and maintaining design systems. A new way to design and align on work culture. A look into the state of design tools and trends from last year. Leah shares the insights she’s learned from surveying thousands of companies to explore the relationship between design practices and business performance. Linzi talks about how to implement, maintain, enforce, evangelize, and roll out a design system. A portfolio designed in Google Sheets. A look back at the early versions of some of the most famous websites.